‘Well it’s spring again, I’ll bring again, Tulips from Amsterdam.’ so crooner Max Bygraves once sang. It indeed is that time of year again! And Keukenhof is the place to see those tulips that Max so eloquently sang about! Let’s step back a moment before we head to Holland. Isn’t spring just the best season? It’s at this time of year when the world comes alive with colour and sounds. It’s also a good time to get travelling. So a visit to see the tulips of Keukenhof might just be the tonic you need. Put a ‘spring’ in your step! 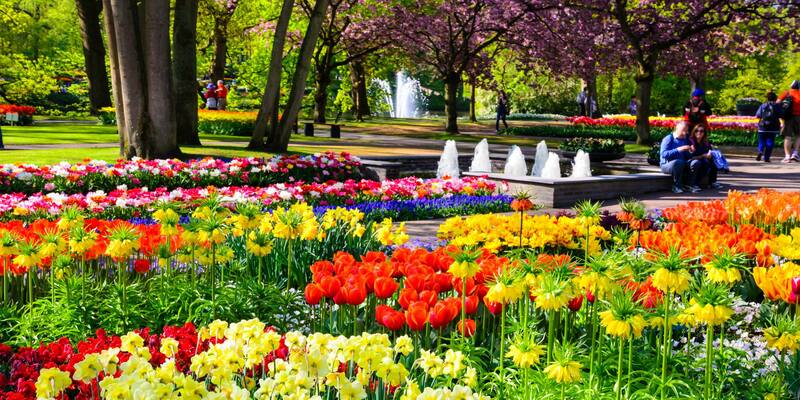 So, why should you visit Amsterdam to see the tulips of Keukenhof? Let us give you some reasons why. Well if the heading doesn’t tell it all! It’s what the country is famous for, that and total football! And a bit like eating sushi in Japan (there is nowhere better! 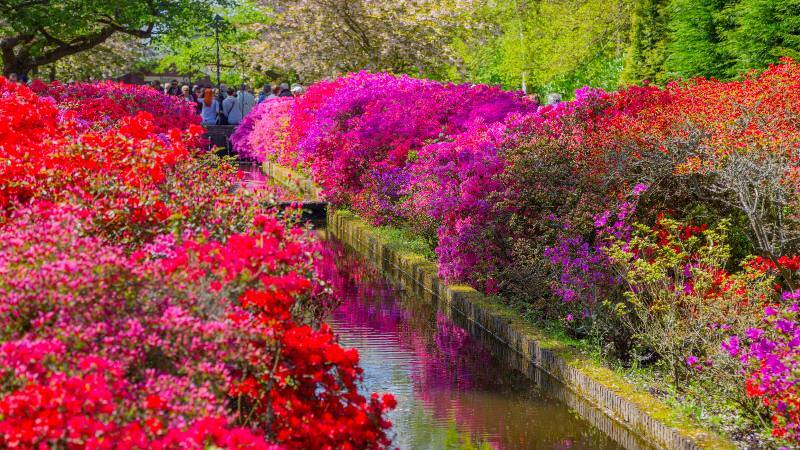 ), the best place to see these most colourful of flowers has to be in Holland. Think about it, go in April or May, and see a field of tulips in bloom. What a magical site. It’s that colour explosion we were talking about! 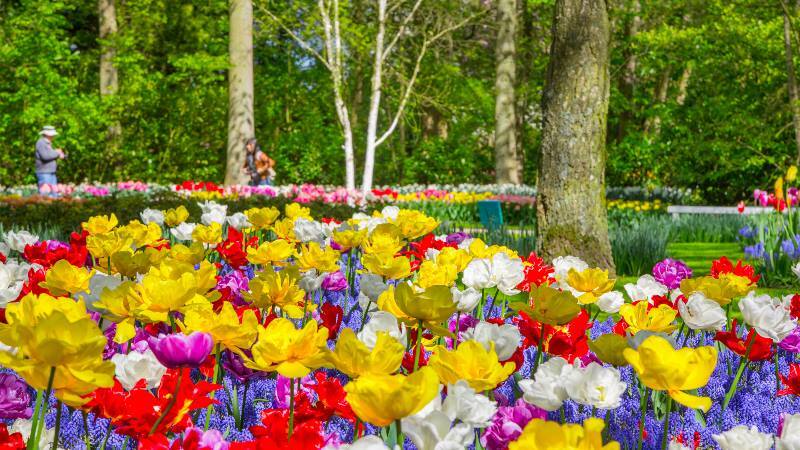 At Keukenhof, you have 7 million bulbs ready to show themselves in all their glory. Add in daffodils, orchids, roses, irises, lilies (to name just a few) and well, if that’s not enough to get you going, I’ll eat my tulip! 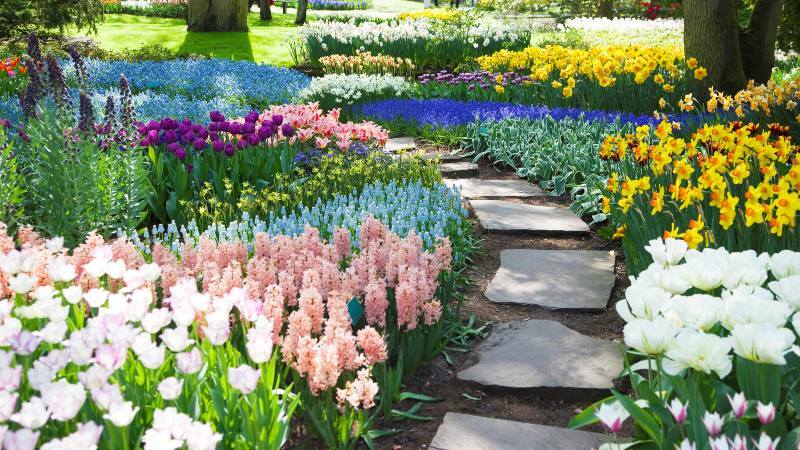 Once you’ve stepped inside Keukenhof, you’ll know why you should be there. Greeted by a sea of flowers in reds, pinks, yellows and whites! Oh, what a sight! The park is divided across various gardens and pavilions. So there is plenty to explore. Also, no two years are the same! They have different theme each year so it means you can re-visit and never be bored! I mean, why would you be bored anyway!? To tempt you, this year the themes include, ‘Mellow Yellow’ for Easter. ‘Romance’ – classical music among the flowers and ‘Woodstock’ – a celebration of the 1960’s festival. So there we go. Those are your reasons for visiting Keukenhof. It’s a chance to head out of the city and get back to nature, it’s colourful, easy to access and different every year. And one final reason to visit? 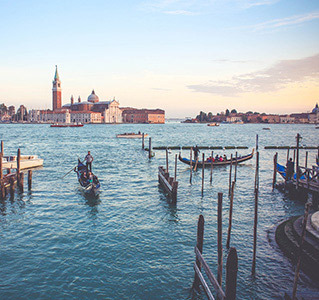 If you book a tour, you get a free canal cruise. All the more reason to see the tulips of Keukenhof, wouldn’t you say? Maybe that song should have been called Tulips from Keukenhof!? For Gavin, travel has been in his soul since he was able to walk on two feet. Visiting India, aged 15 fueled his passion for travel, and the need to explore and discover has remained. 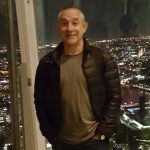 He loves seeking out unusual places, finding fantastic cafes and experiencing different cultures. He has been fortunate to have travelled across the globe, and lived in Japan & the Czech Republic. He loves sharing his passion for travel, hoping to inspire, however quirky the content may be! Previous Previous post: 8 Savoury Foods You Must Try in Kraków! Next Next post: 10 Iconic Game Of Thrones Filming Locations You Can’t Miss!